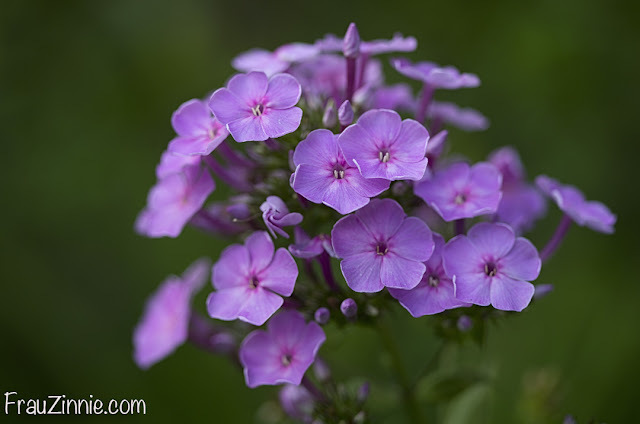 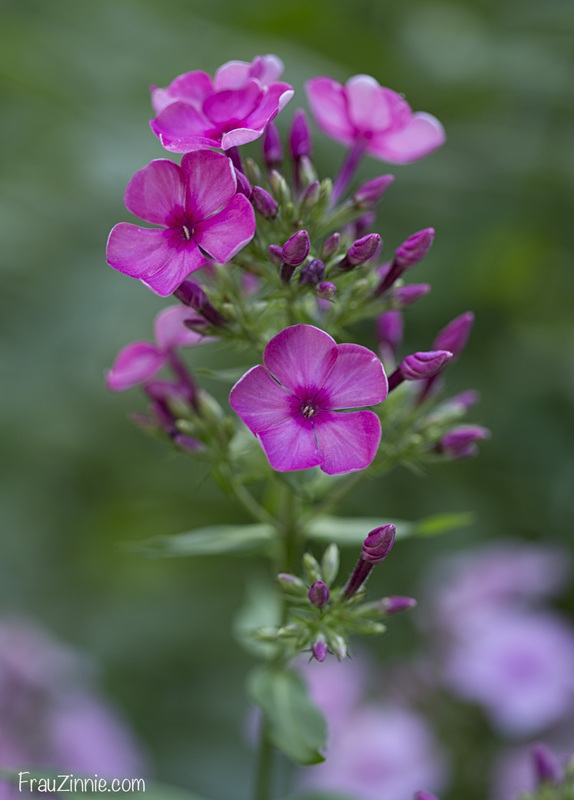 The multiple pink hues of phlox that grow in the front garden are starting their mid-summer show, which reminds me of colorful scoops of ice cream. 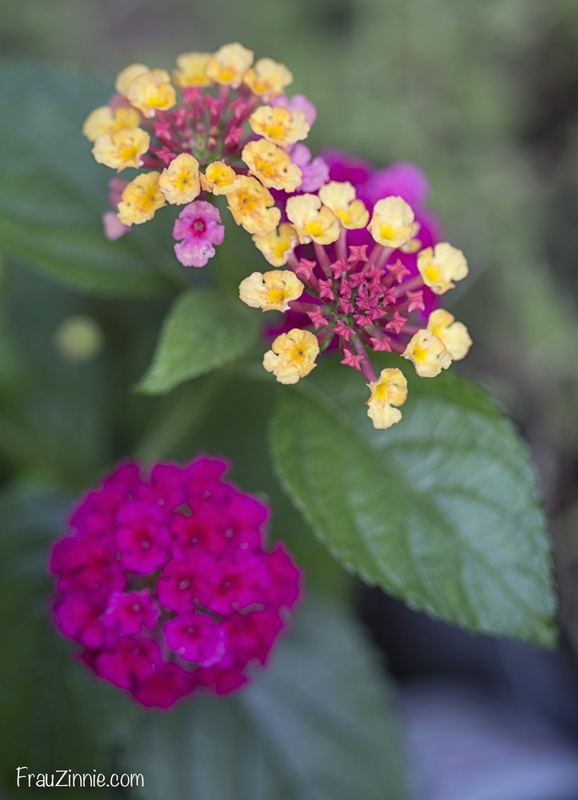 Blending in with that delicious metaphor is the Proven Winners 'Luscious Royale Cosmo' lantana, which grows in one of my glazed blue pots in full sun. 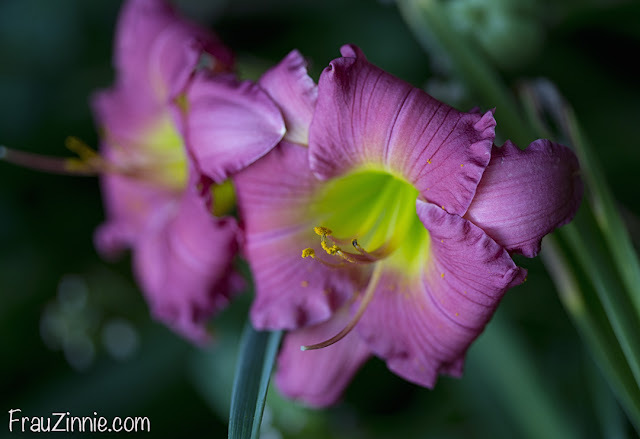 But the daylilies continue to steal the show this week. 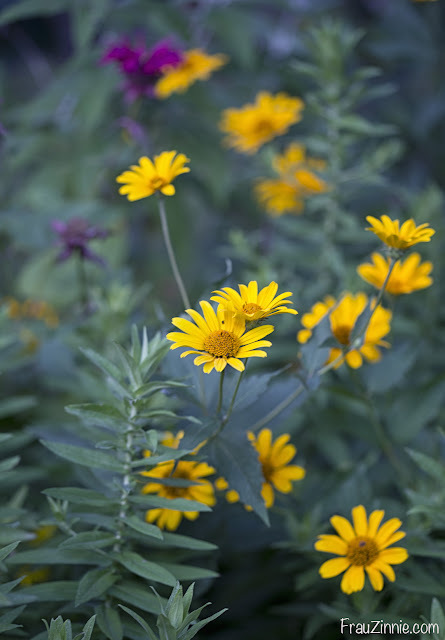 Meanwhile, back in the wild corner of the front garden, the false sunflower is mingling with the bee balm and asters. 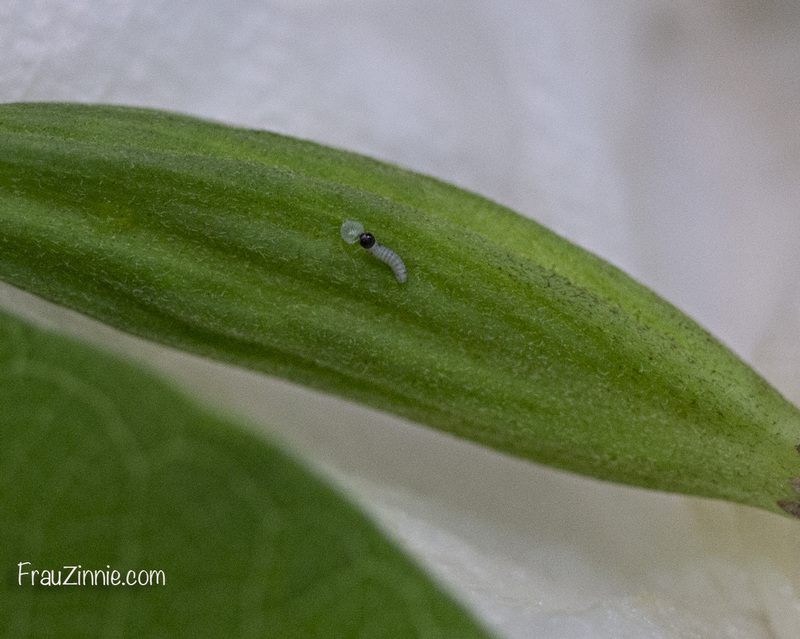 And the monarch eggs that I found on my swamp milkweed in the front garden are beginning to hatch. I was lucky enough to catch one as it hatched! 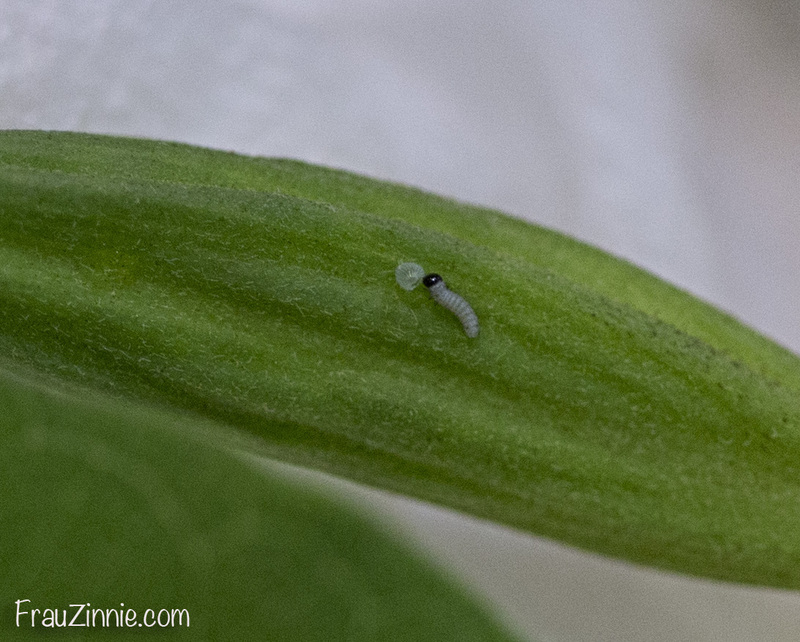 Afterwards, its first meal is the eggshell. 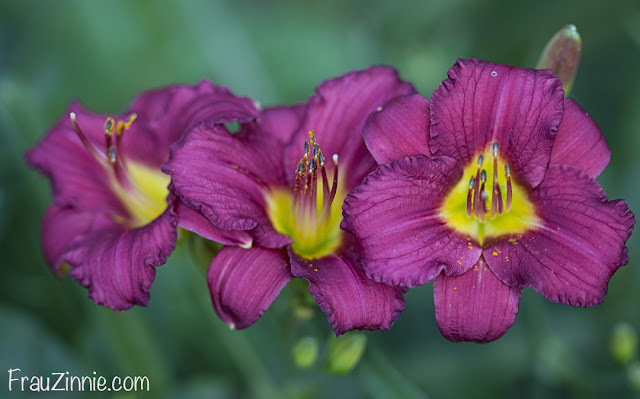 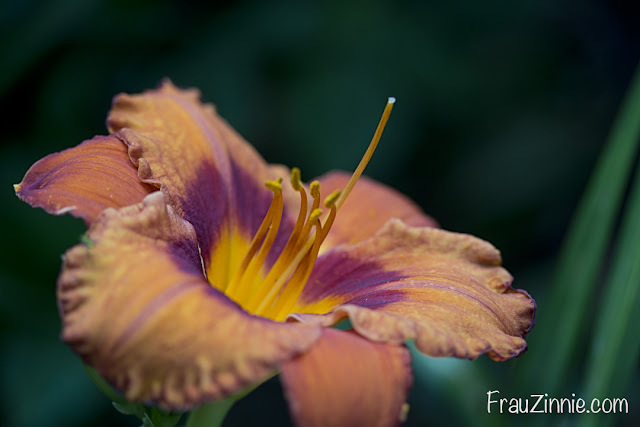 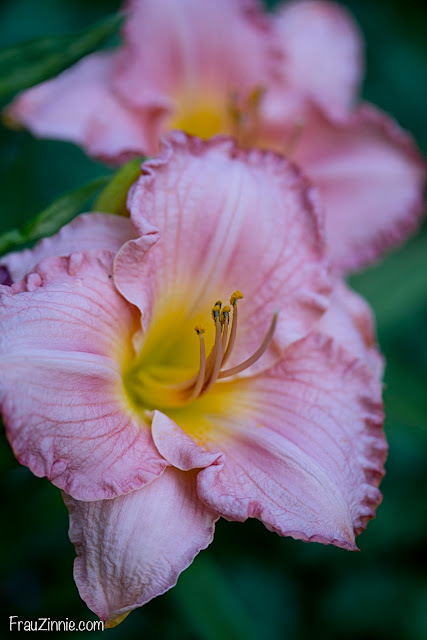 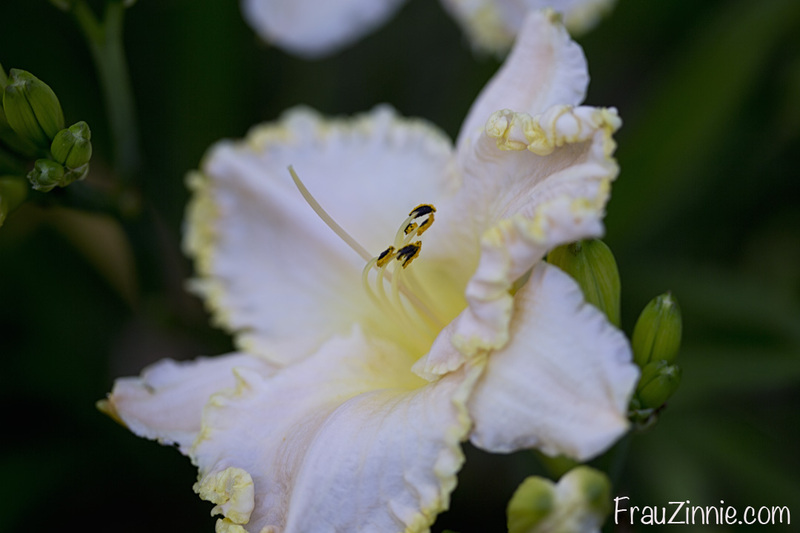 To see what was blooming in last week's garden, click here.